Independents4Change TD Mick Wallace's bill to allow provisions for abortion in the case of fatal fetal abnormalities has attracted a lot of attention against the backdrop of increasing calls for a referendum on the repeal of the 8th Amendment. The bill was not expected to pass, and was defeated by 95 votes to 45. 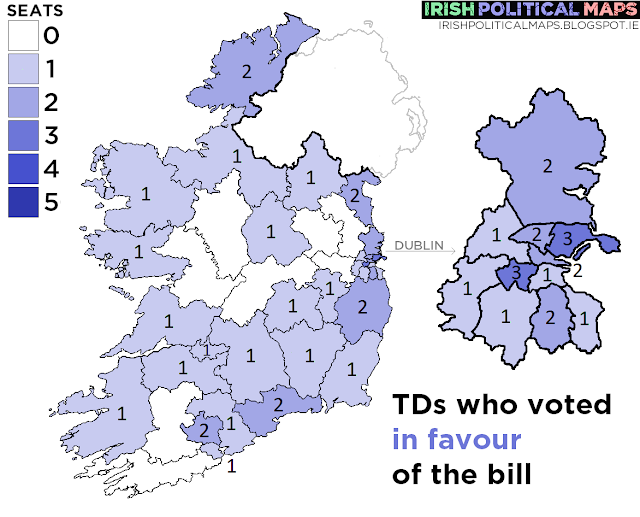 Fine Gael TDs voted unanimously against the bill. 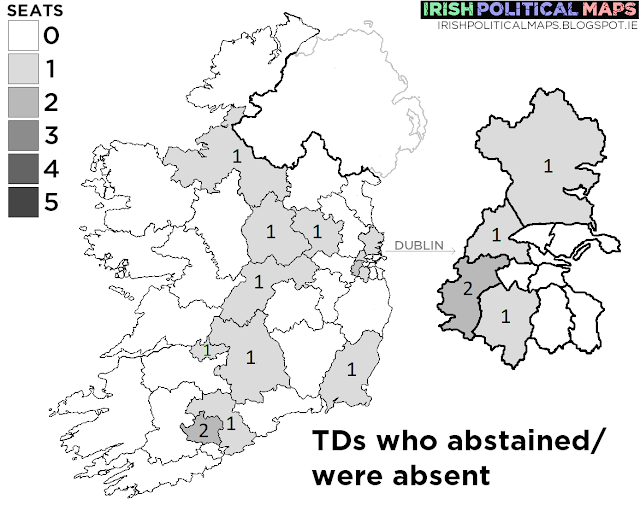 Fianna Fáil allowed a free vote, and while the majority of the party opposed the bill, five TDs - Lisa Chambers, Timmy Dooley, Niall Collins, Fiona O'Loughlin and Robert Troy - voted in favour of hearing it. 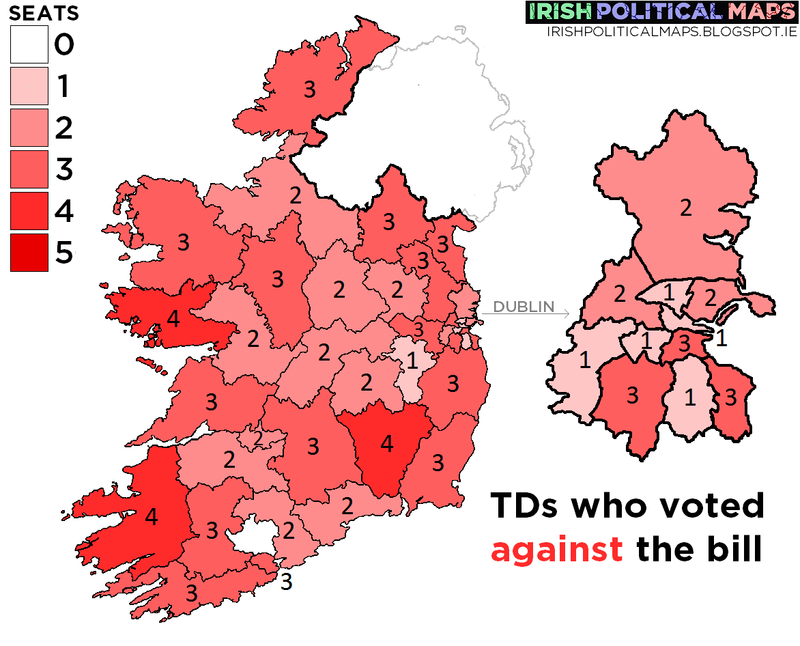 The seven Labour TDs abstained from the vote, and all of the Sinn Féin, Green Party and AAA-PBP TDs present voted for it. Independent Alliance TDs and Ministers Shane Ross, Finian McGrath and John Halligan all voted against the Government, while Katherine Zappone voted with the Government against the bill. Fifteen TDs either abstained or were absent from the Dáil when the vote took place. They are detailed below.